Creams for old stretch marks are designed to help mask and even remove stretch marks that make your skin look old and deformed. While old stretch marks can also be removed with laser surgery, stretch mark creams are a cost effective way to look younger and keep your skin uniform and tight. Palmer's Organic Cocoa Butter Cream is designed to prevent and reduce stretch marks using a unique combination of cocoa butter and aloe to sooth and heal damaged skin. Although Palmer's Cocoa Butter Cream is most effective when used as a prevention against stretch marks, the cream does help wipe out old stretch marks as well as newly formed stretch marks. The cream also is made with soybean oil, collagen and vitamin E to help nourish and rejuvenate your skin. The cream acts as a lubricating agent, in an effort to restore your skin back to its original healthy state and color. The cream also helps restore your skins natural elasticity. Bio Stretch Mark Cream is designed to help return your skin to its original elasticity and firmness. The cream is infused with numerous glycans and peptides that help to restore your skin on a molecular level. In addition to the molecular level, the creams soft and supple texture helps to rehydrate skin that has been stretched too thin to properly maintain its original elasticity. Rehydrating skin will help you prevent dry and cracked skin that can often form around stretch marks. In addition to removing old stretch marks, Bio Stretch Mark Cream can also prevent stretch marks from forming, given it is used properly and consistently. Revitagen Stretch Mark Cream is designed to promote collagen reproduction in your skin as well as speed up the growing process of your damaged skin cells. As a result, Revitagen can be used to heal old stretch marks and return your skin to its original look and feel. Revitagen is composed of a unique blend of oligopeptides and pentapetides, as well as retinyl palmitate, which helps moisturize and improve the overall quality of your skin. While the skin cream may take several weeks before you notice a change, consistent use of the product has been known to yield productive and rewarding results. 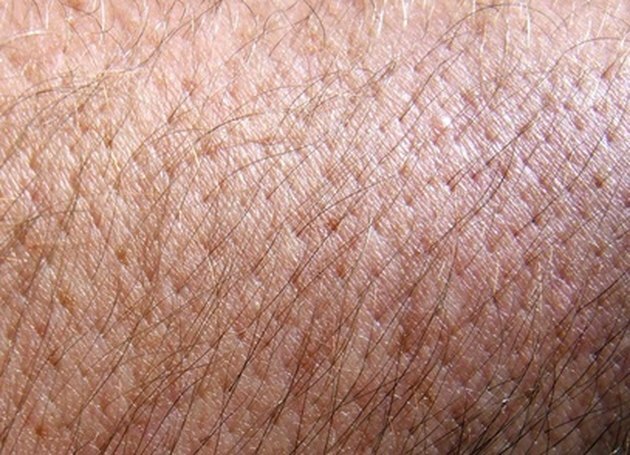 What Makes Skin Get Thin & Very Old Looking?